Want to use cute, seasonally themed activities but have no time to prep them all? 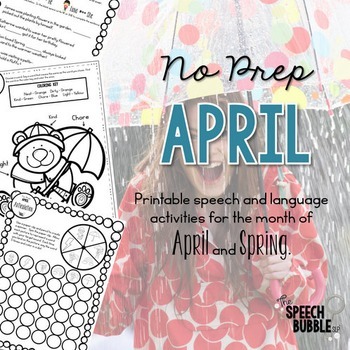 This packet has 40+ pages of April and Spring themed activities to help save you time and bring some themed fun into your room. 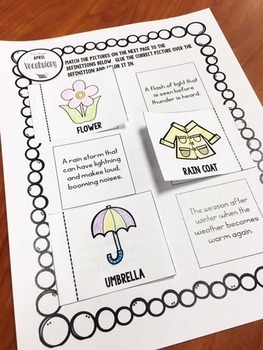 4-5: April/Spring themed board games for reinforcement. 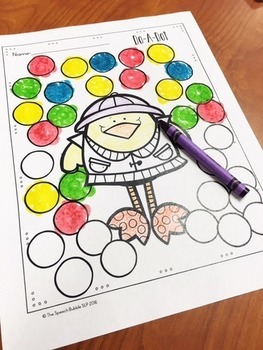 6-7: April/Spring themed Do-A-Dot pages. 8: April/ Spring themed articulation sheet. 21-26: Irregular Past Tense Verbs. Pages 23 and 26 are blank for you to customize. 27-30: April/ Spring describing organizers. 31-33: April/Spring Venn Diagrams for Comparing and Contrasting. 36-37: Pronouns: he/she and him/her. 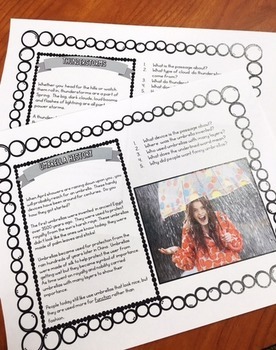 45-46: April/Spring themed comprehension passages with visuals.